If you are looking to replace one or more missing teeth in Lancaster, Dr. Jeffrey Stein may suggest that you fit a prosthetic tooth, or dental bridge, to restore the function of your mouth and aesthetic of your smile, and prevent the remaining natural teeth from shifting. A dental bridge is a popular, cost-effective, safe, and time-tested solution for missing teeth. It comprises an artificial tooth (pontic) that is attached to the adjacent teeth with the gap in between (using crowns) for support - literally bridging the gap. 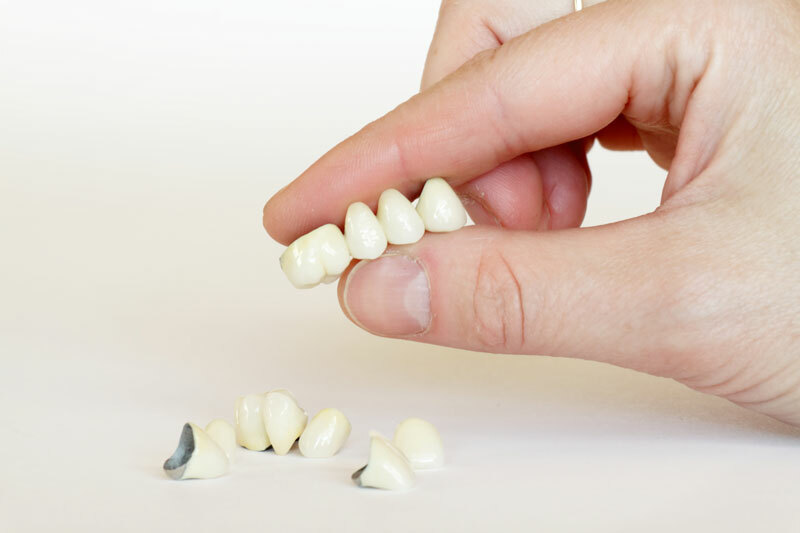 The pontic or replacement tooth can be made from gold or silver amalgam, though most patients prefer tooth-colored porcelain for aesthetic purposes, or porcelain-fused-to-metal for a combination of strength and aesthetic. Fixed bridges - it comprises one or two pontics attached to a crown. The crowns are hollow so they can fit over the neighboring teeth, which are filed down to ensure a proper fit. This method is only recommended if your teeth are strong enough to support the extra pressure of the bridge even after being filed down. Cantilever bridge - this bridge is supported by only one adjacent tooth instead of two. 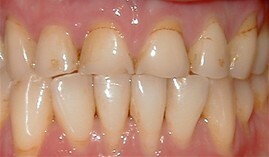 The restoration is not as strong as for traditional fixed bridges, but may be necessary if one of the adjacent teeth is too weak to support the bridge or too thin to be filed down. 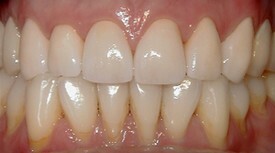 Bonded bridge - this bridge is used to replace only one missing tooth, whereby the pontic is held in place by porcelain or metal “wings” on each side that are bonded to the inner edge of the adjacent teeth. This is a better restoration compared to traditional fixed bridges as you don’t have to file down the adjacent teeth, which is necessary to preserve their health. However, it is not as strong. To bring out the beauty in your smile and restore the complete function of your mouth, please schedule an appointment with Dr. Stein to discuss the various tooth replacement options available, and whether a dental bridge is right for you. Dr. Stein provides full and partial dental bridges as a cosmetic dentistry procedure to patients of Lancaster and surrounding areas such as Quartz Hill, Del Sur, Antelope Valley, Palmdale & more.